Question: I'm planning out my times for my first ever bbq competition and I was wondering when are cooks usually allowed to start cooking the Friday before? Howdy, James, and Welcome - - - I'm not a Comp Cook but which Competition are you speaking of in this post ? Don't know the answer to that but welcome to the forum. OldUsedParts wrote: Howdy, James, and Welcome - - - I'm not a Comp Cook but which Competition are you speaking of in this post ? Hello! 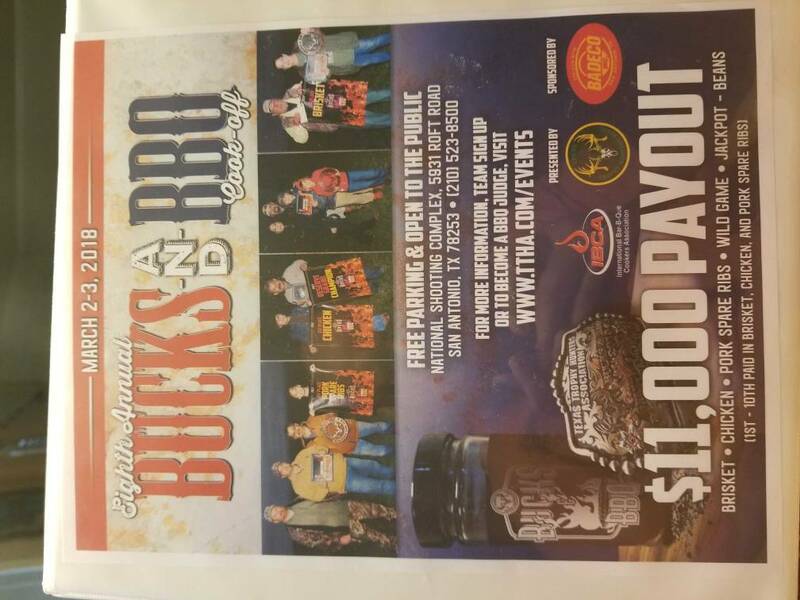 My first bbq competition will be the Texas Trophy Hunters Association Bucks & Bbq competition in March. Williep wrote: Don't know the answer to that but welcome to the forum. You can start cooking any of your meats once they've been inspected. Swamp Donkeyz BBQ wrote: You can start cooking any of your meats once they've been inspected. IBCA does not do meat inspections that is a promoter call. Most cook offs have gotten away from them and as a regional director for IBCA I encourage the promoters in my area to not do them. If there is no meat inspection and no start time for prep by the promoter in their rules then once you are checked in you may begin your prep and cooking.